The 1-Series is BMWâ€™s new 4-seat performance coupe that BMW describes as inspired by the legendary BMW 2002 from the 1960s. The 1-Series features rear-wheel-drive dynamics, agile handling, and powerful engines. 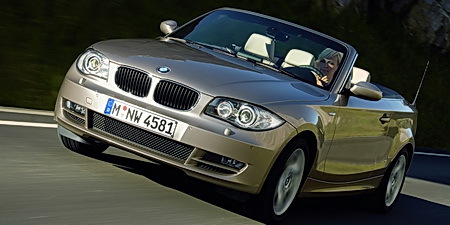 A 3.0-liter six-cylinder is in the 128i, while the 135i uses a twin-turbocharged six-cylinder. It is spectacular to drive with excellent steering. Not much to dislike about this car, I know for a fact that this car has more potential under the hood, but if it left the factory any more powerful it would eat into M car sales. I've owned my car for 5 months now and I just love it, its hard to find fault with it. Could be better on gas mileage, but for the power it offers I can't be mad. Was in love with this car from day one. Its stylish, fast, and handles like a dream. I have no regrets in choosing this car, even though I had Porsche's Cayman S in mind around time of purchase. After owning this car I believe that BMW is the Ultimate Driving Machine and the 1 series fits right in.